Link for the photo gallery is at the end of this post. 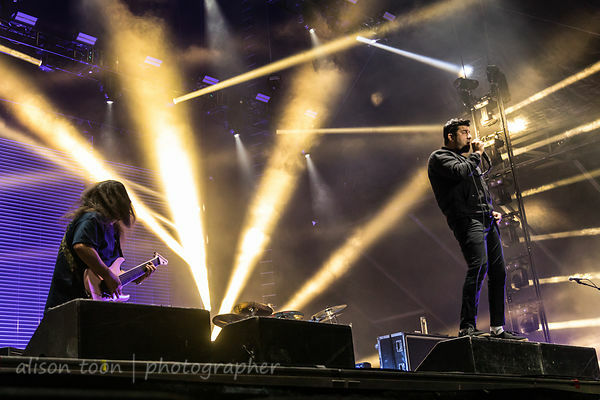 Headlining the first day of this year's Aftershock festival in Sacramento, California, and playing to a sold-out, capacity crowd (60,000 people for the weekend, this year), and in their home town, Deftones and their unique, alternative-metal sound returned to Aftershock for the first time since 2015, much to the delight of the fans, many of whom had waited at the barricades all day in the blazing sun. 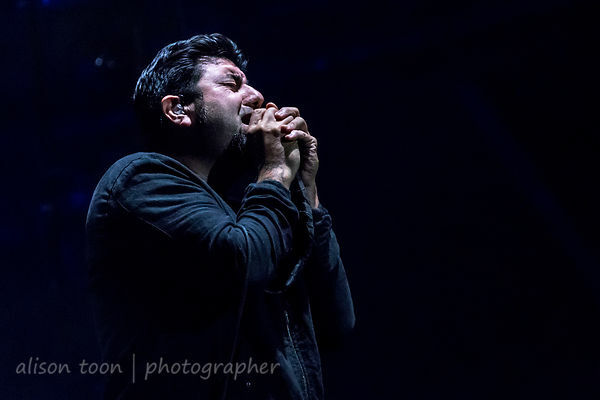 The moment Chino Moreno arrived on stage, the crowd went wild. Stunning light show, challenging to photograph, but beautiful to watch, fully complementing the music. 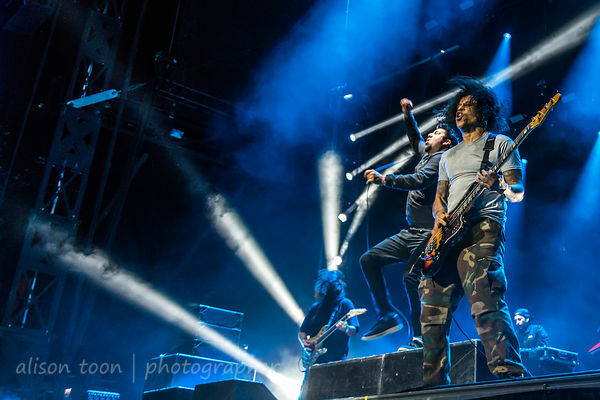 See the Deftones setlist from Aftershock here. Saturday, November 3rd will see the first Dia de los Deftones, at Petco Park in San Diego, California. 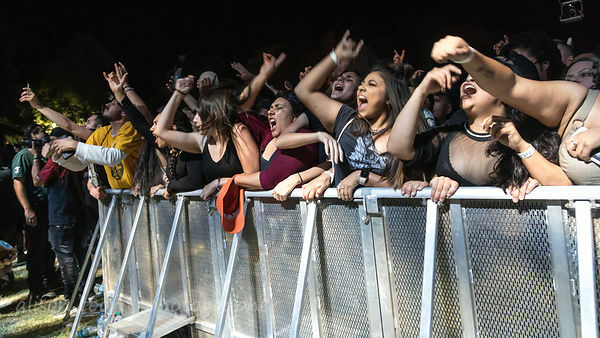 The lineup includes Deftones, Future, Mike Shinoda of Linkin Park, Rocket From the Crypt, and others. It's the only date on their tour page right now... maybe they are working on the next album? 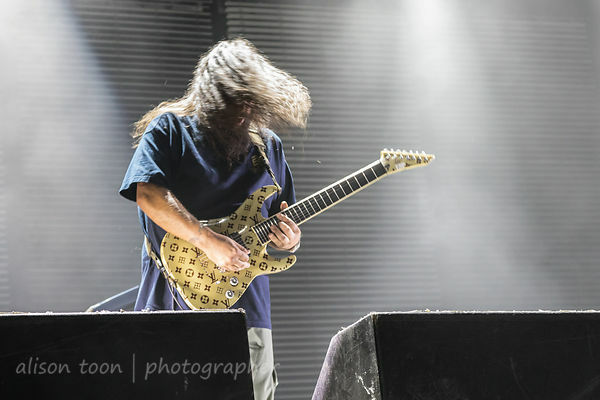 For more info see http://deftones.com, Deftone's Facebook, Twitter or Instagram. Aftershock photos and review, coming very soon!